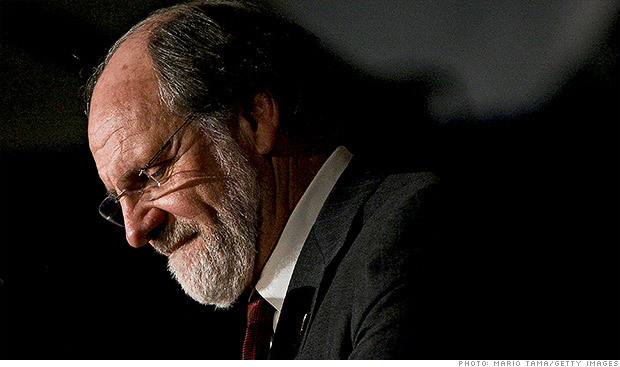 The U.S. government sued Corzine in 2013 for his role in the collapse of the company. The suit alleged that Corzine drove the company into the ground and was aware of its paltry cash balance. Corzine denied any wrongdoing in the case, but has laid low since a bankruptcy judge approved a plan in November 2013 to repay the company's 26,000 customers. Since then, the former New Jersey senator and governor has played a behind the scenes role in politics. In 2012, he was a sizable bundler for President Barack Obama. America Rising, an anti-Clinton super PAC and research organization, seized on the news of the event and highlighted the fact that Ready for Hillary – a group urging Clinton to run for president in 2016 – are teaming up with the somewhat toxic Corzine. "Not Even Scandal-Plagued Jon Corzine Is Too Sleazy For The Clintons To Cash In On," wrote Tim Miller, the group's executive director, in an email to reporters. "Just like the Clintons, Ready For Hillary will take money from anyone," Miller wrote. A Ready for Hillary official confirmed the event, which was first reported by the New York Daily News, but would not comment on Corzine's involvement. The event is billed as "a dinner discussion about the work being done to lay the foundation for a potential Hillary Clinton presidential campaign." The event is being by Dan and Brooke Neidich, well known philanthropists in New York. CNN Money's Melanie Hicken contributed to this report. Distance yourself from this crook, I wouldn't hire him to cut lawn, never really said where the money went did he? He should be in prison, and every nickel he made taken from him, wth are you doing anywhere near this tool. Why in the world would you let this guy into your camp, there are plenty of people qualified for this why him, dumb move, I think anyway. "The event is being [hosted] by Dan and Brooke Neidich, well known philanthropists in New York." ""Just like the Clintons, Ready For Hillary will take money from anyone," Miller wrote. Boring. Has America Rising signed on to participate in "Impeach Obama Week" yet (or whatever the heck the Teatrolls are calling their newest soon-to-backfire radicalized idiocy)? Now thats a nice cache of bad actors for the a new rocky horror picture show . Embattled former New Jersey Gov. Jon Corzine, the man who was at the center of the $1.6 billion MF Global collapse, will be the co-host of a Ready for Hillary fundraiser in the Wainscott, New York later this month. democrat criminals... shouldn't the fbi be targeting this gathering like they would the gambino crime syndicate? oh yeah, attorney general eric holder is one of them. never mind. jon corzine is a disaster. I hope somebody can get into this event and get some video or recordings of these criminals. I wonder if Bernie Madoff will get an early release so he can make it there too?!! Dirty, dirty, dirty money if Corzine is involved. The guy should be doing hard time, not co-hosting this stuff. It sure says a LOT about the Democrat Party if they are still willing to be near this crook. OK, I'll make this call 2.5 years out. Obama pardons this thief on his way out of office. The syndicate takes care of their own.